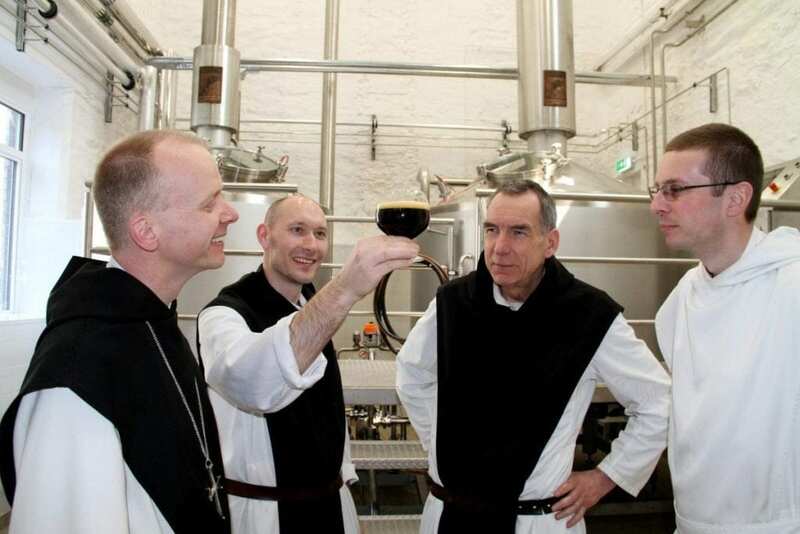 A group of merry monks have become the first in the UK to brew their own Trappist BEER. The powerful 7.4 per cent proof ale has been crafted by monks at Mount St Bernard Abbey near Whitwick, Leics. 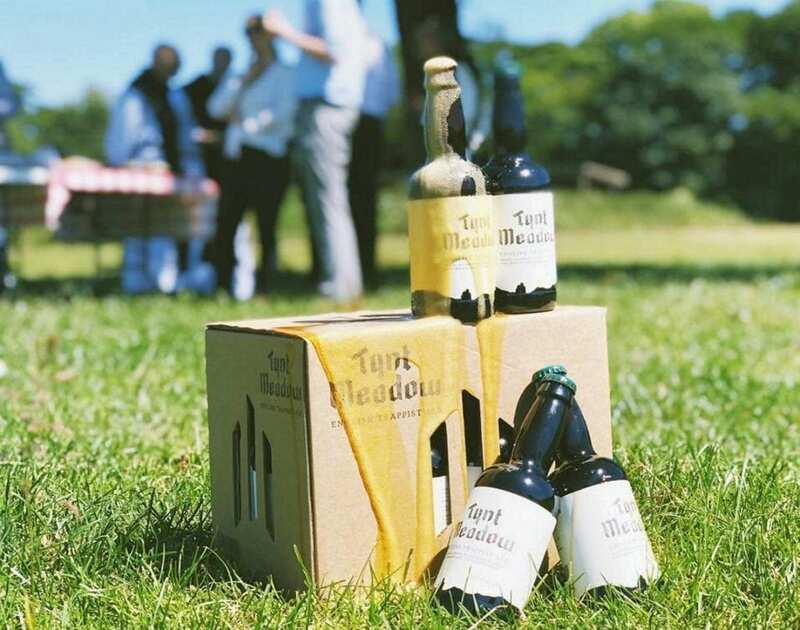 The ale, named Tynt Meadow after the field where the monastery has been since 1835, will be sold at selected bars and bottle shops next month. The original recipe for the beer brewed at the monastery was lost over time but the monks have worked closely with other Trappist groups to create a classic ‘table beer’. According to the monks, Tynt Meadow is, “mahogany-coloured, with a subtle, warm red hue, and a lasting beige head. Its aroma carries hints of dark chocolate, liquorice, and rich fruit flavours. It’s brewed with English hops and barley, using an English strain of yeast and twice-fermented, first in a tank, and then in the bottle. Last year the monks were given planning permission to convert part of the 19th century Cistercian monastery into a brewery capable of making 2,000 litres of beer. They built the brewery in the building previously used to house their dairy farm which closed in 2013. A spokesperson for the monks said: “When the inviability of farming became obvious, we began to look for an alternative source of income and common work. “We aimed to establish an industry in which many of us could be involved, and brewing met our requirements. “After much careful research and community discussion, we decided to revive the Abbey’s beer making tradition. “We know for a fact that beer was brewed here in the 19th century and, contrary to widespread perception, monastic brewing has never been confined only to the Low Countries. 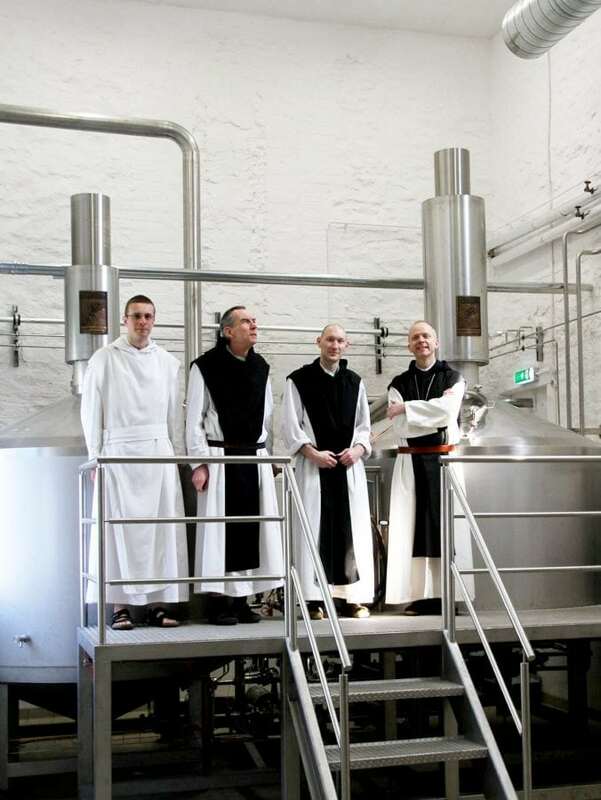 The monks are the first group of Trappists in the UK to brew beer and the 12th in the world. Tynt Meadow goes on sale on July 9.